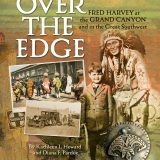 A book about legendary 19th century entrepreneur Fred Harvey written by a Heard Museum curator and a local historian were honored with two 2016 New Mexico-Arizona Book Awards. historian Kathleen Howard, is also the name of an exhibit the two co-curated currently on view in the Heard’s Lovena Ohl Gallery. The book and exhibit tell of Harvey, his company and its famed relationship with the Santa Fe Railway in the American Southwest. The book, published earlier this year and available at the Heard’s Books & More, received the award for Best History Book — Arizona Subject. In a tie in the judging Over the Edge also received the award for Best Arizona Book, as did Never Don’t Pay Attention, written by Jan Cleere. Harvey is considered the progenitor of the modern retail chain, creating a business model involving the same high levels of customer service and comfort at each Fred Harvey Company hotel. Harvey Houses, as the hotels were known, were built at several stops along the Santa Fe Railway, which traveled through New Mexico and Arizona between the Midwest and California. 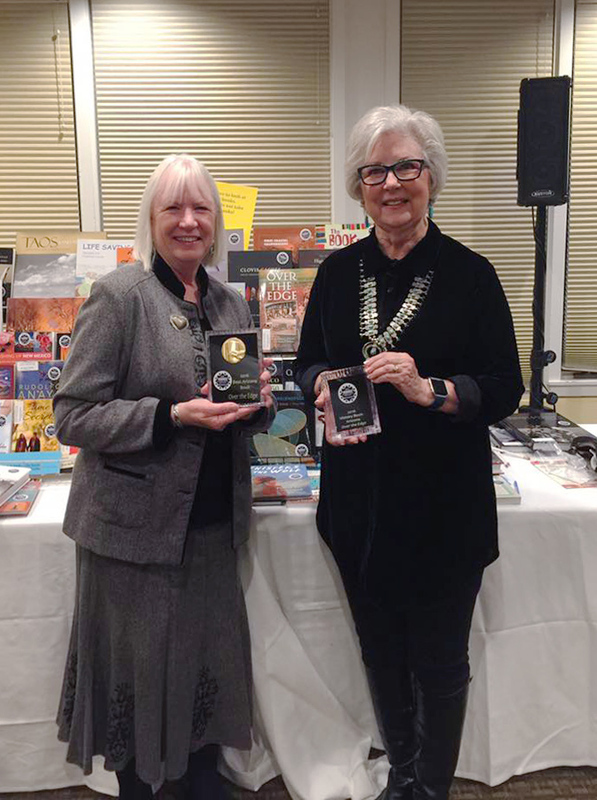 Diana Pardue, left, and Kathleen Howard pose with the two awards they won at the 2016 New Mexico-Arizona Book Awards for "Over the Edge: Fred Harvey at the Grand Canyon and in the Great Southwest."